Why did I get a notice stating that I have to buy flood insurance? You’ve owned your home for 20 years, and you’ve never been required to have flood insurance on your property. So why did you get a letter saying that you are required to have flood insurance? Simply stated, The Federal Emergency Management Agency (FEMA) believes that your lot is now at risk for being flooded in the event of a 100 year flood. FEMA creates Flood Insurance Rate Maps (FIRMs) which depict and show where it is calculated that the water will spread in the event of a flood. Because our communities’ landscape is constantly changing due to construction and population increase, the FIRMs become outdated and are no longer accurate. In order to accurately depict where the flood waters will expand to, the FIRMs are updated as needed. Since the FIRMs are constantly being updated, property that once was not in a flood zone, may now be in a flood zone. The property may be affected by the new calculations and information obtained by FEMA, and may require that flood insurance be carried on a property. So, the question remains, “is my property in a flood zone”. That can have a large impact on your property and your wallet. Flood insurance can be expensive, ranging from several hundred to several thousand dollars per year. 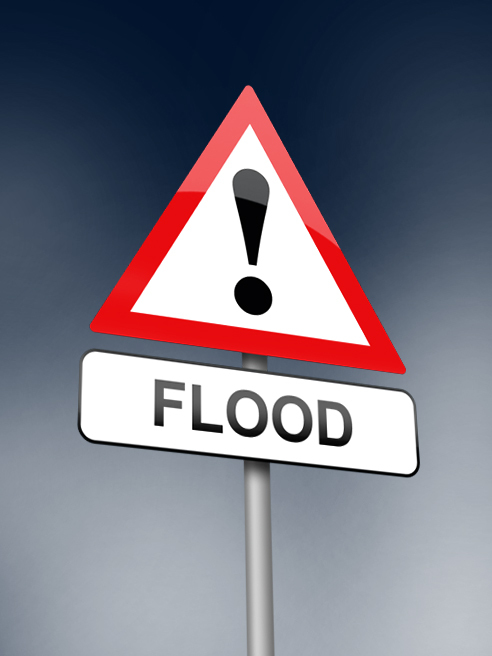 The rate is directly related to the risk that your property has of flooding. The further into the flood zone a property is located, the more expensive the insurance is likely to be. The FIRM shows the property, being only the land and its location to the flood zone. It does not take into account the location of your home or structures on the lot. Typically, any portion of the lot that appears to be located in the flood zone is going to be assumed to be at risk for flooding. Get a Flood Elevation Certificate Today! As licensed Land Surveyors we are able to assist homeowners by performing an Elevation Certificate (EC). An EC compares the location of the flood zone with the actual elevation of the home or structure on the lot. This certificate can be used to prove or disprove what the FIRM shows. The cost of an EC may vary on each property. Contact Cardinal Surveying today to get an estimate on the cost of getting an elevation certificate! Unfortunately, there is no magic ball to tell the Land Surveyors what the results will be. The only way to know what the results are is to have an EC performed on the property. Once the Land Surveyor performs the EC, an insurance agent will be able to take the data and use it to determine if FEMA deems the property to be at risk for flooding. Flood insurance is a tricky thing, and can require input from your lender, your insurance person and a Land Surveyor. Although the FIRMs are available online (fema.gov), you must know how to read the FIRM and understand what it is showing. Ultimately, the Elevation Certificate is your answer to knowing if you property is in the flood zone or not. ECs can be performed by licensed Land Surveyors and Engineers.